Register your child ASAP so that you don’t miss out (places are strictly limited). 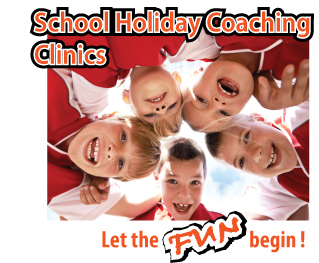 Clinics are open to boys and girls aged 5 to 12 years. The programs are designed to be inclusive and engaging for participants of all abilities and to improve participant's hand-eye coordination and balls skills, sports spatial awareness and communication and team work. Importantly, our focus is on FUN. And the cost is only $160 for all five days (Mon to Fri).